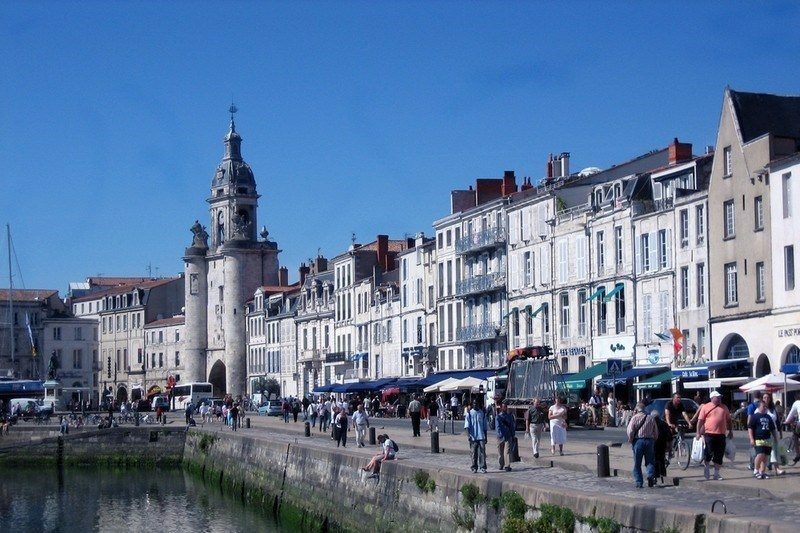 The vibrant beautiful coastal city of La Rochelle has no fewer than 11 regular markets within its well-preserved boundaries. A city that was saved from over-development when such things were considered anti-progressive heresy 40 years ago, and one which has led the world in concepts such as free-bike schemes and electric vehicles over the same period of time, La Rochelle is one of France’s most pleasant places to live. It boasts the largest marina on the Atlantic coast in the country (soon to be doubled in size), beaches, parks, a beautiful city centre and more fine seafood restaurants per square metre than you’ll find anywhere in the world. The principal market is the covered one in the city centre of Les Halles. The building first opened its doors to the public in 1835 and is a palace suffused with the scent of seafood and food produce of the region. About sixty stalls provide a welcome to the hungry/curious visitor in a great market containing market gardeners, butchers, fish mongers, oyster farmers, vineyard owners (including those making Cognac and Pineau Charente). It all spills out into the charming square during the summer. Open every day from 07:30 to 13:00, with an extended opening on Fridays until 19:00. The market on Place de Verdun is in a large elegant open square. The town has very thoughtfully located their car park underneath, leaving the huge open space here mostly the preserver of pedestrians. A colourful classic French roundabout usually sits on the square during the summer months and, after browsing the market, an essential stop is the fantastic belle époque “Café de la Paix” that overlooks the square. The market runs every Friday afternoon from 15:00 to 19:30, selling all sorts of knick-knack type stuff, with a strong emphasis on foodstuffs. Farther out from the city centre, there’s a range of weekly food markets that take place in the mornings from 08:00 to 13:00. On Sunday, it’s the turn of the Marché de La Pallice, on Tuesday, it’s at Marché de Tasdon, Wednesdays, its’ Marché de Villeneuve les Salines, Thursday, the food market is at Marché de Port Neuf and on Friday, it’s at the Marché de Mireuil. Finally, apart from the Christmas and Easter markets, there are two seasonal summer markets in the city centre – the Marché de la Création Artisanale (for local artisan produce) and the Marché Aux Bijoux (for jewellery). The former runs from 15 of June until 15 September every day all day long at a variety of locations in the Vieux Port area. The latter takes place all summer every day at the Cours des Dames. For locations, keep an eye on the Tootlafrance Market Guide Map, which has new additions every week.